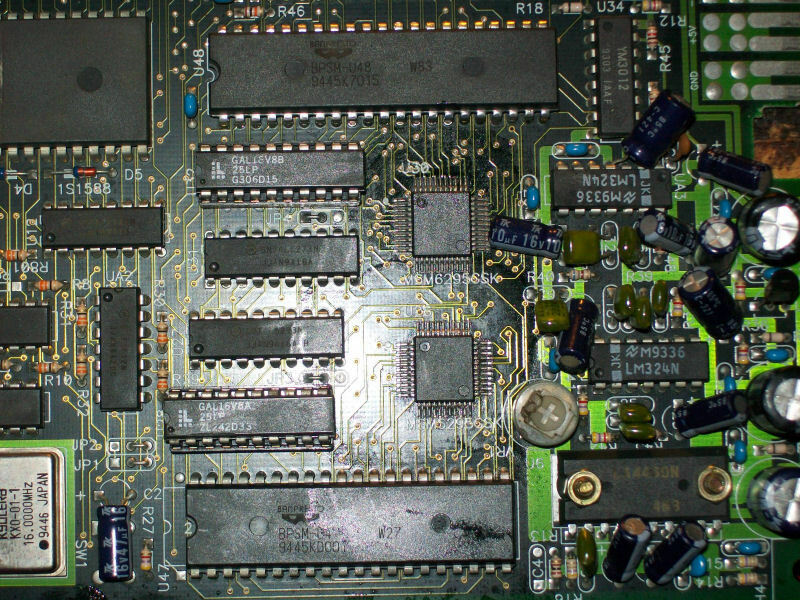 As you can see from picture above, PCM samples data contained in the two MASK ROMs (40 and 42 pins) are read by two OKI MSM6295 PCM voice synthesis chips (while music is generated by a YM2151).So, I went to probe the MASK ROMs and found that the one @U47 had some address lines stuck as well as the control lines /CE and /OE. This confirmed definitively that the device was bad.At this point the only possibility was taking a good GAL chip from another PCB or dumping and reproducing it. 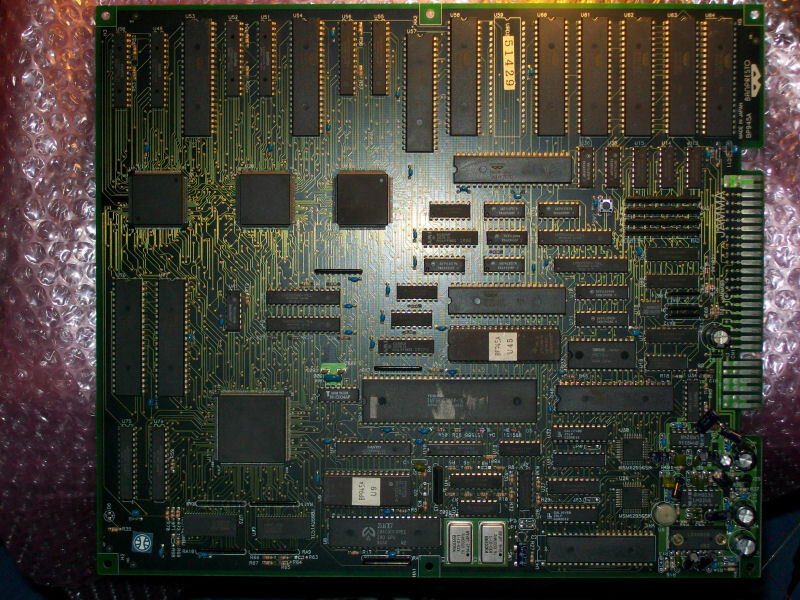 Luckily my friend Ifog had a same board with a good GAL and he was able to provide me the binay dump which I took care of analysing and reversing it (see my latest PAL updates here).Once programmed a blank GAL16V8 device and fitted it on PCB, all the PCM samples were restored.Job done.